Is your closet a mess? If your closet is untamed, unruly and looks like even Marie Kondo would give up on it, then you need to take a look at these closet organizer ideas that will help you reorganize and revamp your closet into an excellent storage space. And best of all, these hacks are completely budget friendly—whether they’re as simple as closet organization DIY that reuses soda tabs or they involve buying an inexpensive closet organizer IKEA, you’ll find that these closet organization ideas are truly easy on your bank account. So without further delay, let’s take a look at the top 10 genius closet hacks that will turn your messy closet into a veritable example of why closet organizer systems really work. The first thing you want to do when attempting to put together closet organizer systems is clean and sort everything in your closet. Yes, everything. 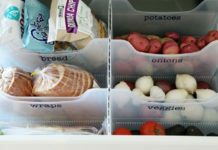 The best way to go about this is to divide items into 3 categories: items you use all the time, items you use seasonally or for special occasions, and items you no longer use. With the items you no longer use, you can donate them, sell them, or give them away. You’ll want to focus your closet organization ideas on the items that you actually use, whether it’s a shirt you always wear or your favorite pair of winter boots. Once you have everything sorted, it’s time to start organizing everything. This is especially useful when you need a walk-in closet organizer and there are lots of items to look through. There are multiple ways you can organize the stuff in your closet, but the most common ways are: organizing by color, organizing by season, and organizing by the item category. You can even do a multi-level of organization, such as organizing your winter scarves by color, if it suits you. The goal behind organizing is to make it easier for you to find and use your items, so they actually get used. If you have lots of belts, scarves and other long accessories, you’ve probably noticed that storing them is not exactly easy. Thankfully, this closet organization DIY is very simple: use shower curtain rings or even standard hooks to hang up belts, scarves and similar long accessories on your closet rod; this will make it so that they don’t take up valuable floor or drawer space. 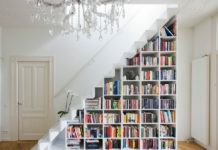 They will be much more accessible this way, too! No walk-in closet organizer is complete without drawers! If you have lots of smaller accessories, one of the best ways to organize them is through drawer organization. There are plenty of closet organizer IKEA drawers that will suit the bill, although you can find plenty of smaller drawers at just about any retail shop or supermarket. These small drawers are perfect for stacking on the floor or tucking into hanging shelves, which will help you utilize as much closet space as possible. 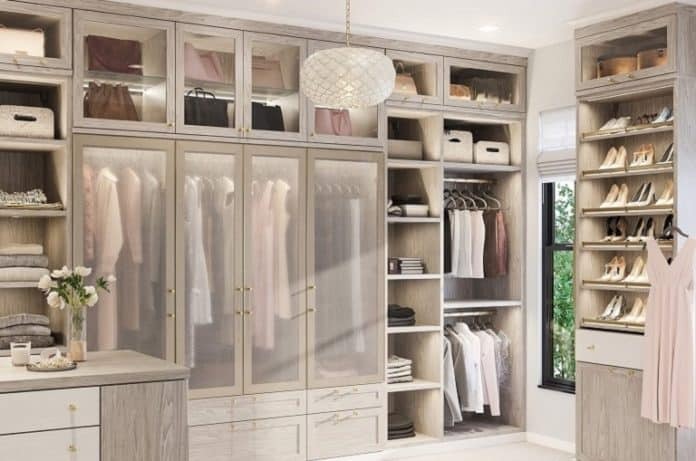 One of the biggest closet organizer ideas people need to know is how to utilize those high spaces in the closet that usually get ignored; this is a huge mistake because there’s so much potential storage space just waiting up there, as long as you know how to take advantage of it. If there aren’t already shelves in the higher spaces of your closet, it’s time to install some simple but sturdy shelves that are big enough to hold a fabric bin or smaller accessory drawer. Higher spaces are ideal for seasonal items that you won’t use all the time. If you find that your clothes simply don’t fit in your closet, it’s time to start doubling up your hangers! You can double the amount of space in your closet by simply taking a soda tab and hooking it around the first hanger to create a hook for a second hanger; then you can hang another shirt, pair of pants, skirt, dress or whatever you’d like. Just remember to take it easy—don’t overload the hangers with heavy items or they may bend and fall. Dirty laundry has no place on your closet–or bedroom, for that matter–floor, which is why you should definitely take advantage of laundry basket hacks to keep your closet floor space clean. You can opt to use traditional laundry bins or if you want to keep your floor as clear as possible, you can hang laundry baskets on doors, walls, or even on a floating shelf. This hack is a great space-saver for when you have lots of clothes—such as sweaters and t-shirts—that don’t necessarily need to be up on a hanger all year round. This hack is also surprisingly simple: just roll up your sweater, t-shirt or similar clothing item and stash it away inside a pre-designated drawer or bin. When you want to wear it, simply pull it out and give it a shake! If your clothing tends to get wrinkled, pick up a mini steamer to quickly and easily have it looking fresh. Magazine racks are outdated, but don’t throw them away: instead, repurpose them for your closet by turning them into a DIY handbag organizer! All you need to do is set the rack on a flat surface in your closet—a shelf or the top of a 3-tiered drawer will do the trick—and store your handbags sideways in the magazine rack. This will keep them scuff-free and most importantly, in plain sight. Your closet door has great untapped potential for storage space. If you don’t have room for hanging items such as belts, jewelry, scarves or even shoes inside your actual closet, then look to the door! 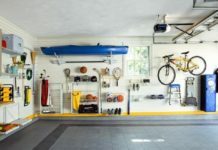 All you need to do is install some hanging storage options—ranging from over the door hooks to a hanging shoe organizer—in order to easily store items without taking up precious floor, wall or closet rod space. If you really want to up your closet storage game, then take this hack to the next level: transform your closet door into the ultimate storage space by installing DIY shelves on both sides of the door. This particular hack will take some finesse and some building know-how, but the payoff will be completely worth it when you realize just how much storage space you added to your closet. If you’re worried about the closet door looking too messy with the shelves, you can consider only installing shelves on the interior side of the door—or install curtains that you can pull when you want to hide your DIY storage. If your closet is messy, then don’t fret: the above genius closet organizing hacks will turn your messy closet into the stuff of Marie Kondo’s dreams! Have fun—and good luck organizing!